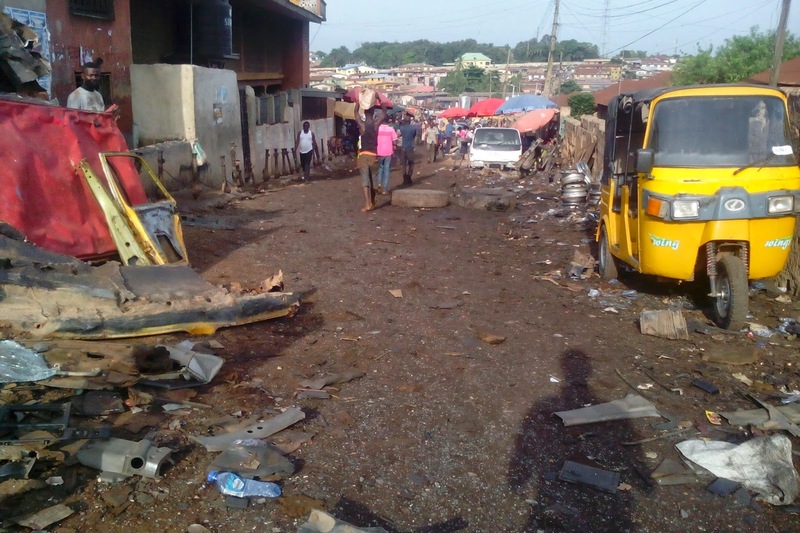 The popular Araromi spare parts market, Agodi-Gate in Ibadan, Oyo State capital, was gutted on Saturday morning during which property worth millions of naira were destroyed. Although, the real cause of the incident was yet to be ascertained as at the time of filling this report, some of the affected traders attributed it to a power surge and majority of the shops in the market were razed by the fire with various valuable spare parts burnt completely. An eyewitness said the fire would have spread to nearby houses, but for efforts of officers of the State Fire Service, who reportedly put up spirited efforts to put off the inferno. Daily Independent said fire officers were seen still keeping vigil on the burnt shops, while some policemen were also watching over the place to prevent hoodlums from capitalising on the incident to loot. Caretaker Committee Chairman of Ibadan North East local government area, Oladipupo Oluokun, who visited the scene of the incident, expressed sympathy with the affected traders and promised them council’s assistance. It would be recalled that IBPulse.com published an exclusive report (with pictures) on the deplorable state of the market. Click here to read our exclusive report.